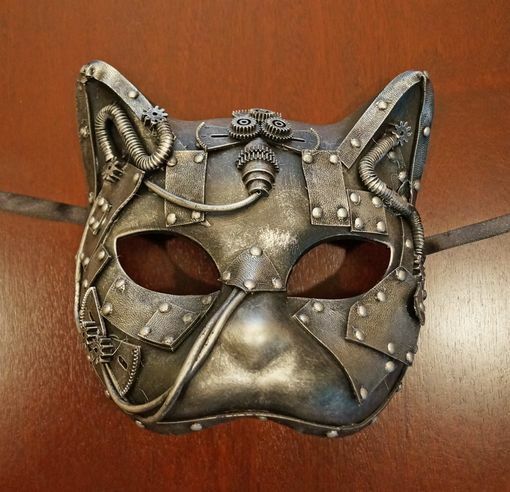 This unique industrial steam punk cat mask is hand made and painted silver. Accented with gears, wires, and riveted faux metal. This mask also available with L.E.D flashing lights item # 17807SILLED.